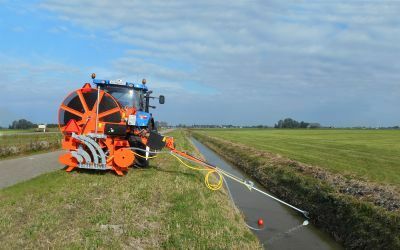 Homburg Holland supplies the best and most advanced precision farming technology in the field of crop protection, soil cultivation and sowing techniques. A compact, agile self-propelled cyclists with lots of ground clearance, maximum visibility and competitive price. Spend your time on spraying... not filling! The Handler can not only puncture, empty and rinse a container in just a few seconds, but also mixes powdered and dry products easily and quickly.